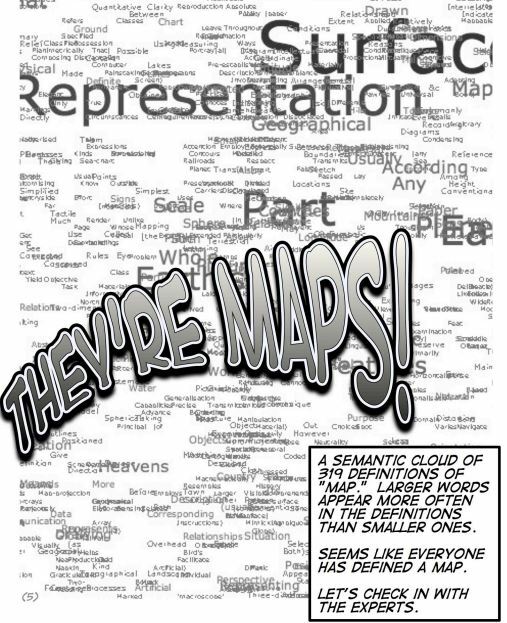 Mapping can be defined in so many different ways, there is no easy answer to these questions. In fact, your research can dictate the parameter of choices that define your map. Below are a few examples of just how multi-faceted mapping can be for any discipline, and how the digital can help scope and develop innovative approaches to projects. How then might your project utilize these tools? 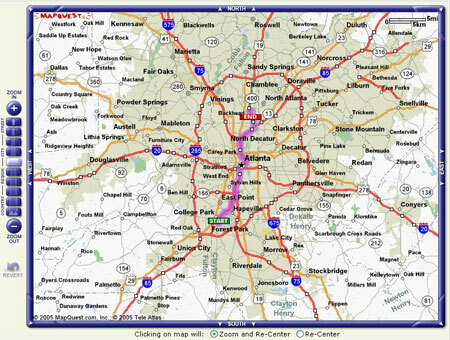 **This list is not exhaustive and there other optional elements that you can include such as border and inset maps. Why? All of these elements help assist you in reading the map, the context of when and how the map was made, and the purpose of the map. 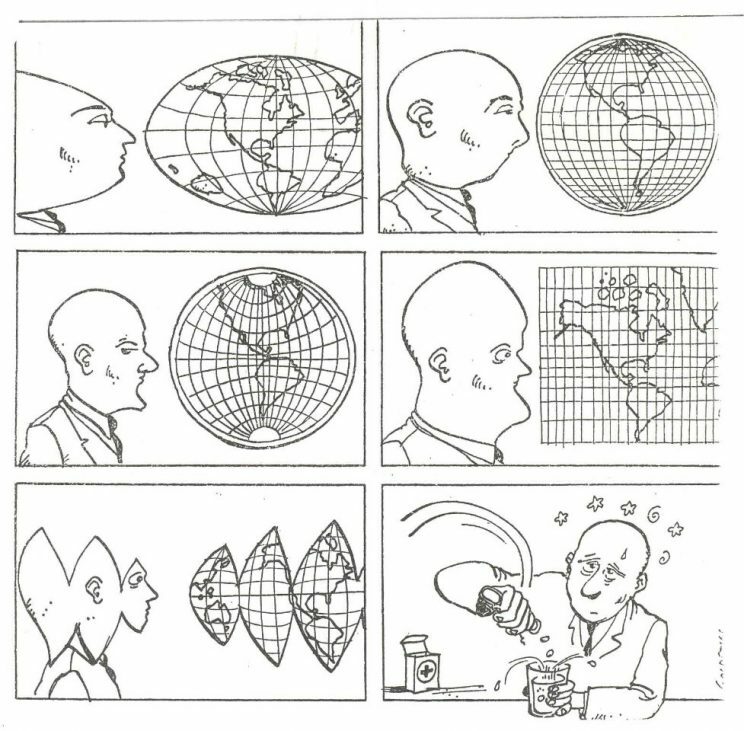 Waldo Tobler’s statement defines his first law of geography, in ways stating the obvious correlation between objects in space, paving the foundation behind spatial dependencies. Equally important, we may argue, is that the same dependencies that exist in space also exist in time. Chronology is a representation of sequential data as spatial overlays, often visualized to show relationships, dependencies, and causation through time. In short, in order to preserve one of these elements with highest fidelity, the other elements are to be sacrificed to some degree. Locations of the hand-pumps used to get water from. Each line represents a death, and a concentration can be seen around a certain street. 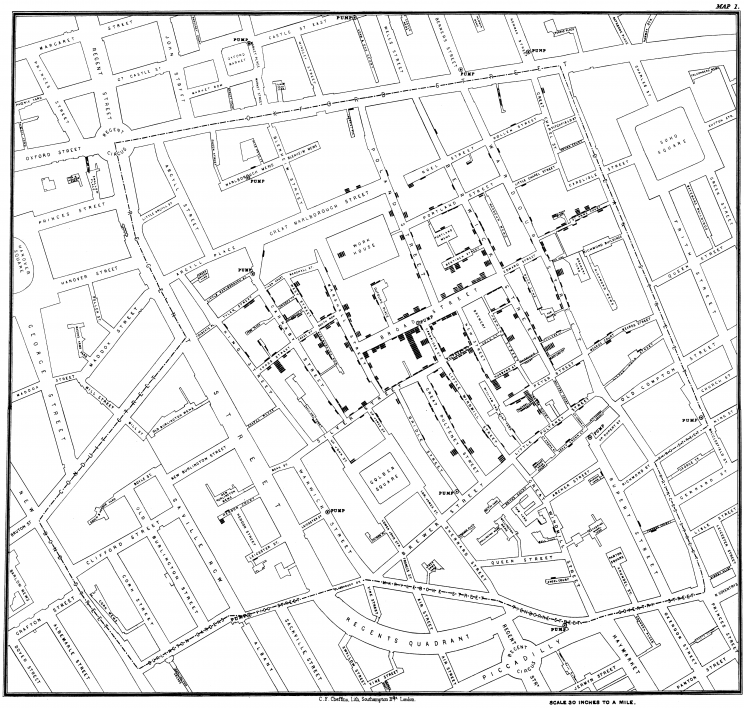 After having identified the problem, this map allowed Snow to write a letter to the authorities and prompted the end of cholera outbreaks in the locale. The representation of 3 dimensional space onto a flat, 2 dimensional platform–a map–brings with it many challenges and compromises (e.g. projection systems). 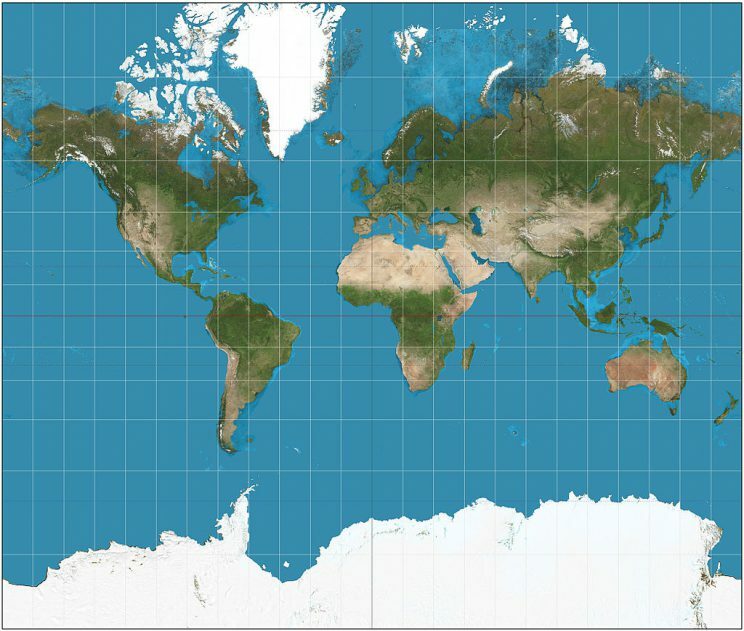 Every “flat” map in existence compromises on one geographical element: Shape, Area, Distance or Direction. So too, does the representation of the “fourth dimension”, or time, bring about much to contemplate on how best to summarize and eventually effectively visualize geo-temporal data. Historically, inventive methods employed in visualizing change over time has produced infamous graphics such as Minard’s map of Napoleon’s Russian Campaign in 1812. Bunge, W. 1971. Fitzgerald: Geography of a revolution. Cambridge, MA : Schenkman. Radical and critical cartography has seen a recent resurgence in academia and popular media. William Bunge was an early innovator of radical cartography and helped to found the Detroit Geographic Expedition. His work was community focused and was in part influenced by the 1967 Detroit riots. Here is an example of two maps using the same data. One created by a city agency and the other created by Bunge. Can you tell the difference? Share your observations on the process of a print map becoming a digital map. 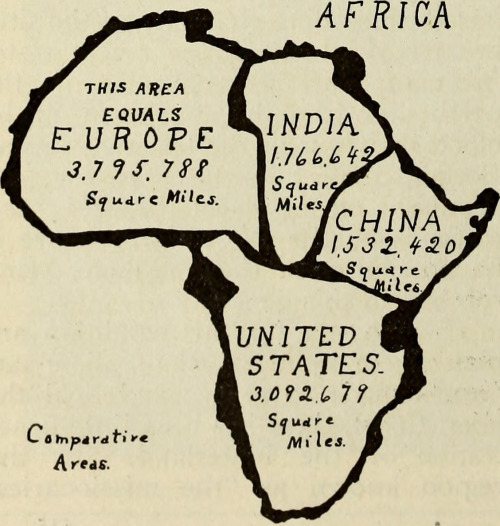 While previous cartographic maps were done by hand, increasingly as computer processing became more powerful, spatial information began to be “digitized”. 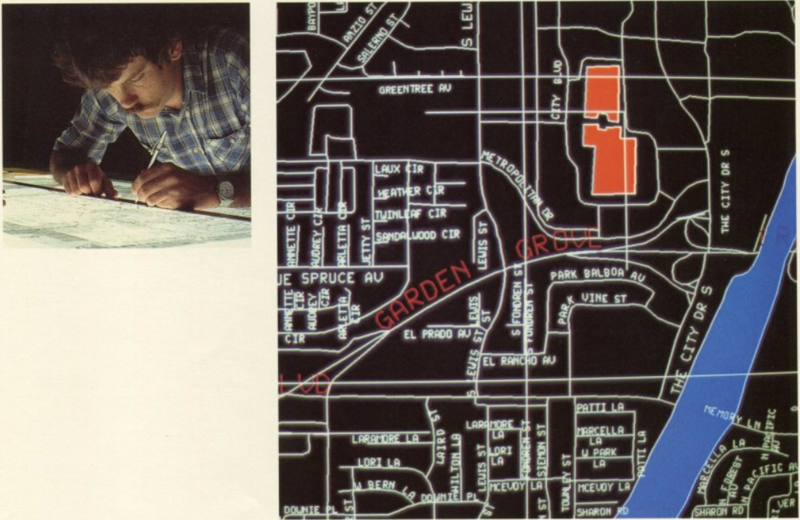 Whether it be from tracing old paper maps, or redoing them anew, spatial processing began to take off with the advent of ESRI’s ArcInfo command-line based software. 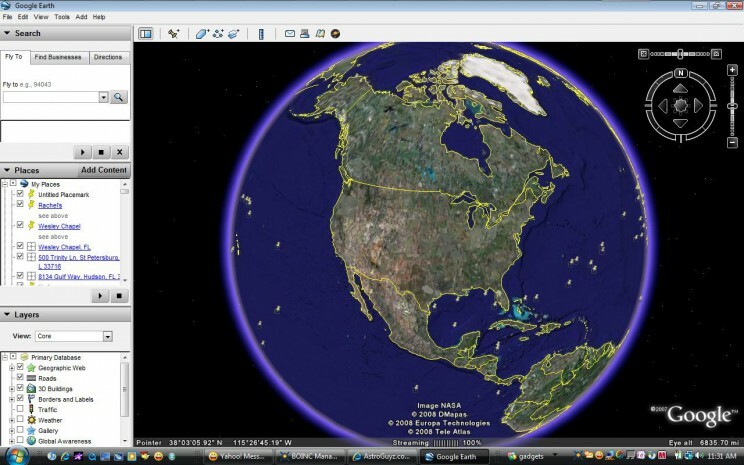 This map viewer was the first of its kind to debut to the young World Wide Web in 1993. The signified the transition to a digital age where spatial information could be shared online. 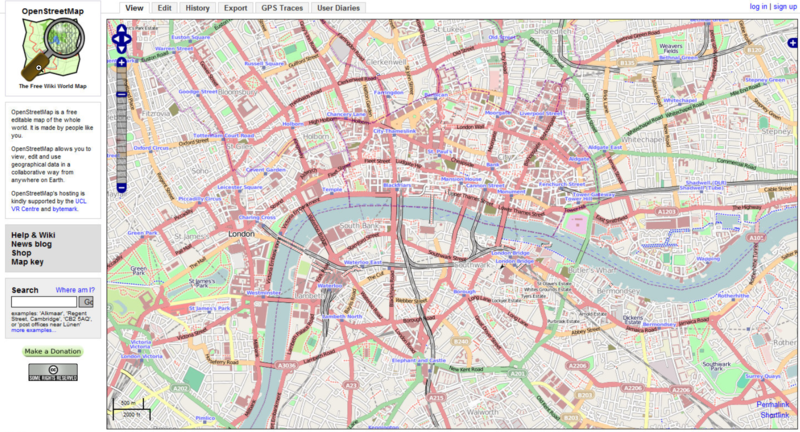 The rapid development of the Internet allowed a new space for mapping on the web to be explored, not just as static gifs, like in the PARC map viewer, but rather as zoom-able and pan-able images; MapQuest was the first online mapping platform to do so. After Google acquired Keyhole in 2004, their application was re-branded as Google Earth; a standalone application for interrogating the entire planet. The advantage of dynamic time sliders is that they are malleable, they adjust to the time spans dictated by the content material. 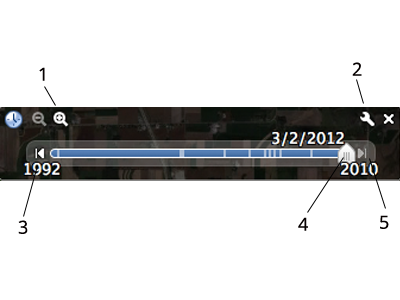 In the screen shot from Google Earth, the time slider itself is indicative of the content being provided, in this case, we can depict that this particular location has historical satellite image dating back to 1992. OpenStreetMap and Google Maps are “slippy” maps that pioneered the idea of seamlessly moving around a map. 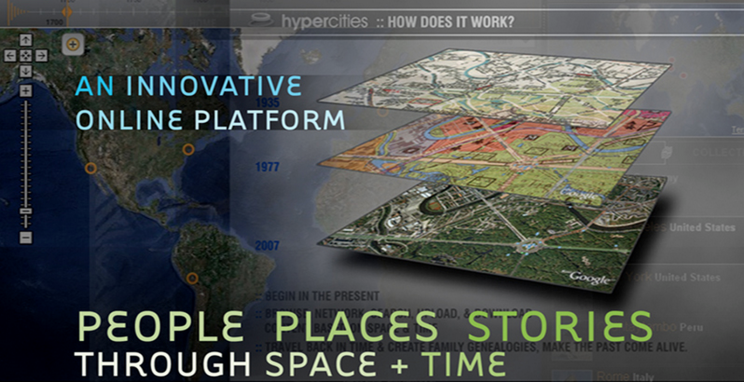 Perhaps one of the most innovative geotemporal platforms born and created within academia is HyperCities, the brainchild of our very own Todd Presner. The idea that we can spiral downwards–or upwards–from any location to navigate into the past or future is at the core of the HyperCities platform, to the degree that technology can allow such a concept to manifest. Robin Wilson’s original Google Fusion map. Using data from Robin Wilson’s blog. Desktop mapping programs are useful when the end result is a static map used for publication, or certain types of geographic analysis needs to be done. ArcGIS has the most support and documentation, however requires a license that is expensive outside of academia. QGIS is a free solution and is going for creating simple maps, but the learning curve is higher for doing more intensive geo-processing. Online maps are useful when the end result is an interactive map for illustrating issues and research. They are powerful tools for creating “mash-ups” which combines data from different platforms onto one. Google Maps API is the widely used as a starting platform and has good examples with documentation. The downside to Google Maps API is that the API is closed source, so projects can get depreciated. Leaflet is a online mapping platform that is open source, this means that depreciation is not an issue. The main drawbacks with Leaflet is that some functions are not a fully flushed out as Google Maps API.